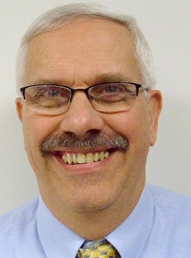 Mr. Landis is a registered Architect in the Commonwealth of Pennsylvania and a certified Building Code Official, building and plumbing inspector, accessibility plan reviewer and inspector with the State of Pennsylvania. Having passed the test through the International Code Council, this allows him to be certified in all other states. 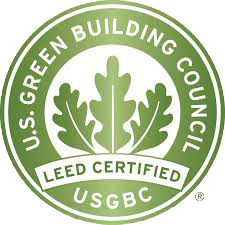 He is a LEED Accredited Professional certified with The Green Building Certification Institute. Mr. Landis has over 42 years experience in architectural design, facility engineering, estimating and construction management. Prior to joining Advanced Building Design, LLC, Mr. Landis was associated with CTC Enterprise Ventures Corporation, Crown American Properties, Inc., Hinks and Locher Engineers and Greensteel, Inc. While at Crown American, he was responsible for the design of 26 Shopping Malls and 12 Hotels as well as various third party Construction Management Projects. As a Project Architect, Mr. Landis works with clients to prepare conceptual designs for their projects. From the conceptual design, he prepares detailed construction drawings, itemized cost estimates and construction schedules to meet the client’s needs. His responsibilities during the construction drawing and bidding process are to coordinate with the client to ensure the project is staying on budget and meeting the project’s criteria. He provides support to the construction supervisors during construction phase of the project, which includes drawing and specification interpretation, shop drawing review, and design changes to meet field conditions.